We specialise in delivering creative workshops that show people how they can incorporate herbs into their lifestyles for improved health and wellbeing, everything from urban gardening to making herbal teas to plant-based cosmetics. The sessions are designed to be fun, educational and practical to teach people new skills and build their confidence in a friendly and inclusive environment. We have options for one-off workshops and structured courses both with a wide variety of topics for you to choose from. We have experience of working with different community groups and can tailor sessions to suit the needs of your groups. "This session was excellent. I have improved my knowledge about how to look after my health. It was extremely friendly and relaxed - excellent teacher." "An amazing course that brings to life the world of herbs, their uses and benefits. I have learnt so much and feel inspired." 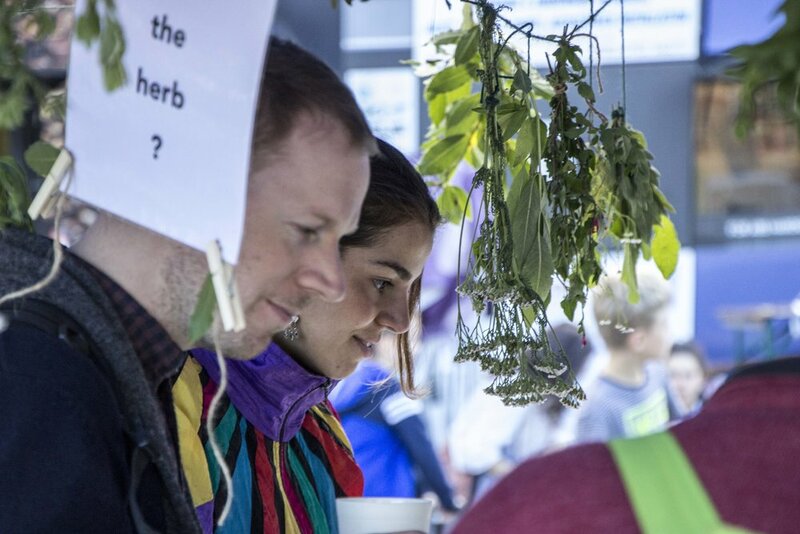 Invite the Hackney Herbal stall along to your event and we'll bring along a variety of fun activities to engage and inspire people. 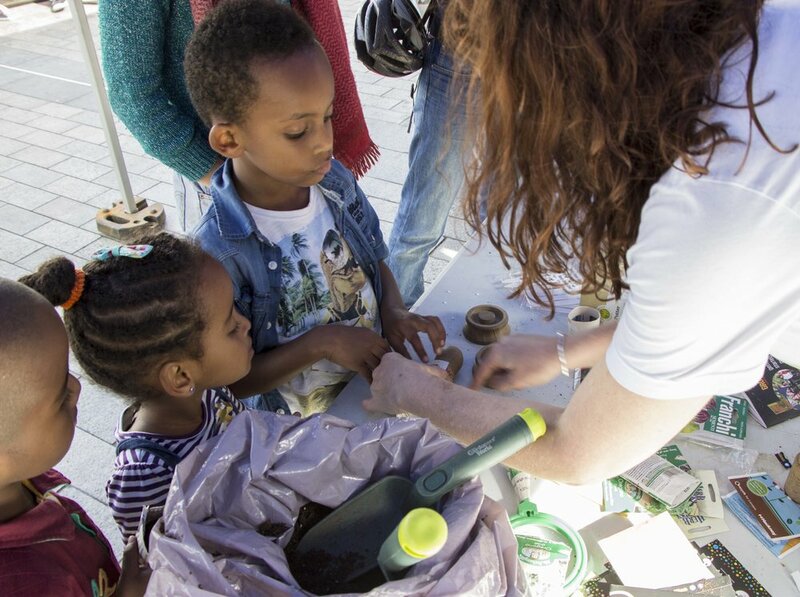 People can have a go at planting seeds or making their own tea bag at our stall as well as getting general advice about urban gardening and herb growing. Attending community events allows us to carry out informal community consultation, raise awareness about our projects and signpost people to other interesting activities within our network. We've previously collaborated on events with St Luke's Community Centre, Circle Housing & Grow Hackney.